TORONTO , Sept. 18, 2018 /CNW/ - Sable Resources Ltd ("Sable" the "Company") (SAE.V) is pleased to report that the company initiated road and drill pad construction for the Esperanza Target at the Don Julio High-Sulphidation Gold Project located in San Juan Province, Argentina . Previously undrilled, Esperanza is the first target to be drilled by Sable within the Don Julio cluster of five targets. Drilling will target mineralisation at depth below the 2 by 2km Esperanza geochemical anomaly testing the outcropping Punta Cana and Esperanza Hill alteration zones. Additional drilling will also test beneath an area of post mineral cover situated between these two zones. Drilling is planned to begin in October this year. 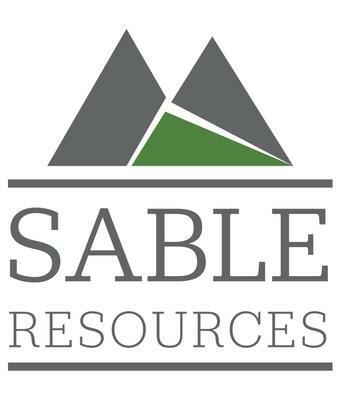 "We are very pleased to be starting the infrastructure for our second drill program of 2018 drill program right on schedule," commented Tom Obradovich , President & CEO of Sable. "With the assistance of a local engineer from San Juan with over 20 years of experience in other high sulphidation projects and mines from the El Indio Gold Belt we will ensure road construction is of an appropriate professional standard in this challenging Andean mountain terrane." The Don Julio Project is defined by an extensive 5km by 5km Miocene lithocap located in the Cordillera Frontal of Argentina. The lithocap affects a package of fragmental volcanic rocks intruded by dacitic domes and phreatic breccias associated with and affected by an advanced argillic mineralizing event. A large anomalous precious metal footprint is coincident with the lithocap and associated with the advanced argillic mineralizing event. Field evidence indicates that the erosion level is high with high probability of preservation of a mineralized system. Sable is working in a systematic way to model the hydrothermal up flow zones that will define drill targets at depth. Sable believes Don Julio represents the southern extension of the prolific El Indio-Pascua Belt. Sable is a well-funded junior grassroots explorer focused on the discovery of new precious metal projects through systematic exploration in endowed terranes located in favorable, established mining jurisdictions. Sables' main focus is developing their large portfolio of new greenfields projects to resource stage utilizing their Upper Level Epithermal Strategy. Sable is actively exploring the San Juan Regional Program (>35,000ha) incorporating the Don Julio Project in San Juan Province, Argentina , the Mexico Regional Program (1.5Mha), incorporating the Margarita, Vinata and El Escarpe drill ready projects and the BC Intrusion Related Program, Canada (13,600ha) incorporating the drill ready Tulox Project.